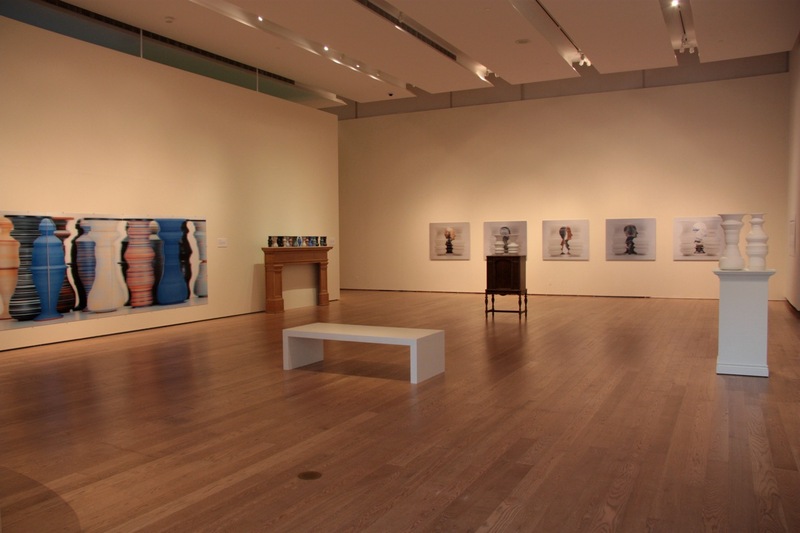 The Toronto based Gardiner Museum’s holdings of contemporary Canadian ceramics were greatly enhanced by the contribution of high profile, world class ceramic artist Greg Payce. In this post, Greg’s views on the lenticular 3D imagery medium is featured with comments extracted from an interview by the museum’s curator, focusing on lenticular printing fine art events and processes. 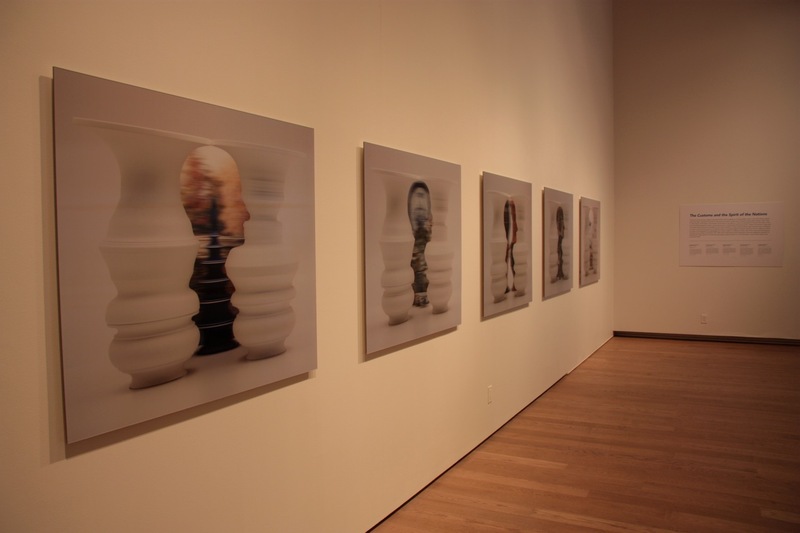 The vast space at Gardiner Museum in Toronto, was perfect for displaying Payce’s large scale lenticular images, textured 3D photography of the work that appears to move as the viewer crosses in front of it. Seeing these large lenticular 3D lenticular prints of Payce’s figurative ceramics move across the surface was unlike anything I had ever seen. 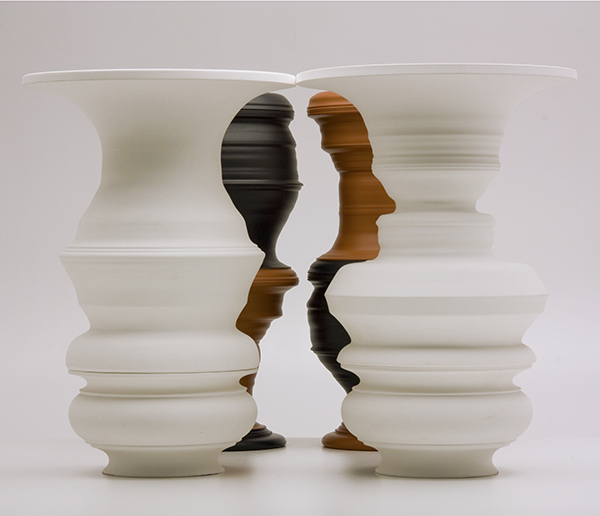 Was there a particular experience that made you want to work lenticular 3D illusions into your ceramics? Payce: the 3D lenticular photographs come from being a guy who makes very fragile things, and having a demand for these things to be shown internationally. To pack up one of these pieces, ship it, and insure it is really unwieldy. If I can take an image of that, have it serve as a standin, and if you walk by it, give the idea that this is three-dimensional piece; it seemed pretty cool to me. How do viewers react to the illusions? Pace: when you create that illusory space, you create this weird little world that you can get into. When you move, it looks like it’s interacting with you. So, there’s a strange non-verbal dialogue that goes on. People kind of get caught. People were much slower about the pieces that had the negative space in them because a lot of them didn’t get it at first. I’d get people going through shows saying, “nice work and nice vases,” and they didn’t get the negative space images. Then they’d clue in to one and have to go back and look at the whole show again. Much of my ceramics grows from considering relationships between pottery form and human form. Large scale and lenticular 3D animated images heighten the physical scale. The newer formats allow the ceramics to form interesting new relationships with both the physical and the functional contexts of exhibition spaces. The space of a lenticular photograph is, like that of the stereo scope, “a fundamentally disunified and aggregate field of disjunct elements. With this series of lenticular 3D photographs, as with other such images in the exhibition at the Gardiner, Payce opens a dialogue about our experience of ceramic traditionally associated with handmade ceramics mented, discontinuous spaces, so new and strange in the nineteenth century and so associated with Modernity in the twentieth, has, by our time, become “normal,” our “scopic regime.”It is a by product of the norm that constitute contemporary life. Ceramics photographed on turntable. 24 perspectives printed on 24 degrees lenticular lenses.